Trace and Log Analysis Patterns – structural and behavioral anomaly patterns and anomaly analysis patterns. 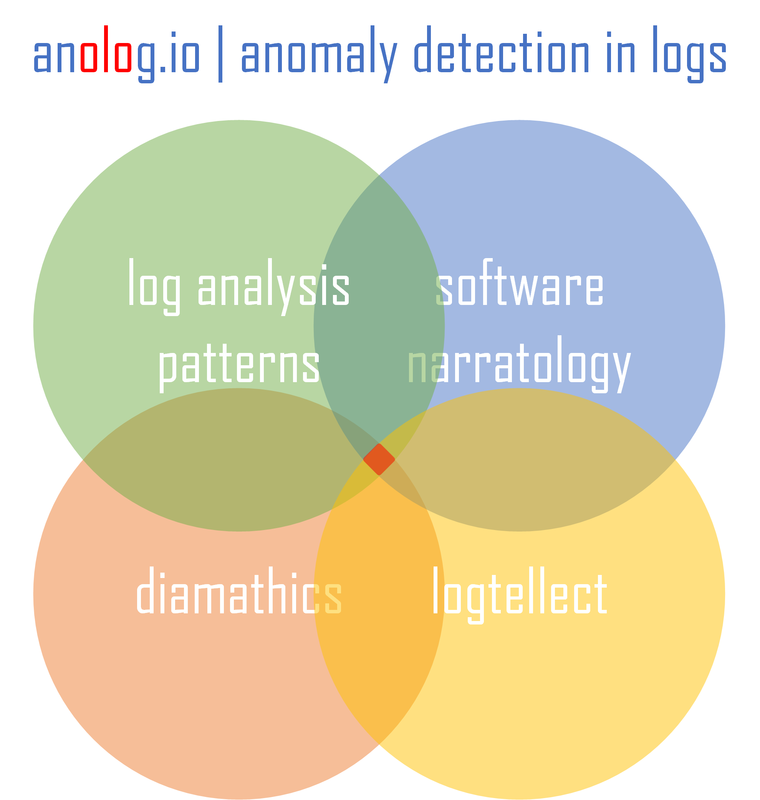 Software Narratology – the applied science of software stories for correlational analysis of different narrative data from customer use cases to source code to software execution artifacts. Diamathics – contemporary mathematical and computer science methods applied to software diagnostics and log forensics. Logtellect (BACH.Technology for AI applied to software logs and network traces) – human-level AI analysis achieved via Narrascope (a narrative debugger) ML frontend and cloud services backend.